I'm back again... much later than I anticipated but a lot can change in a week! This post I'm testing posting via an e-mail. Once I'm on the ship this will help with keeping my Internet costs down. Internet access on cruise ships is painful. First they charge you an insane amount of money for it. It's by the minute & gee whiz 90% of the time the internet is 10x slower than dial-up. Luckily, I'll have my laptop with me. I have a Mac, so I don't have "outlook" but a program like it. I can go online & get all my new e-mail from all my different e-mail addresses in like a minute, log off, read them all, write any new ones & then sign back on to send them out. So to use e-mail it will only take me like 3 minutes a day, rather than surfing the internet to all my different e-mail host's websites (gmail, work, juno, etc.) and then read & reply to all of them while my internet time is ticking away. Now before you go thinking I'm cheap, I'm not at all. However, I'm gonna be on the ship for 14 days & to give you an idea, 100 minutes costs $55 or you can also do a pay-as-you-go option which is $0.75 per minute. Ouch. So e-mail it is. A lot of people save their internet time for when in port & try to hunt down free wifi or even an internet cafe, but I'm prima donna. I'll pay more for the convenience. Moving on. I'm getting a little overwhelmed. I'm 49 days out but I feel like it's two weeks away. I still have a lot to do & even more to do at work, meanwhile I'm now leaving on Saturday to spend a week visiting my family in Fl. I can't wait to see them, especially in light of all that's going on. (fyi: my uncle & 2nd cousin are both fighting cancer) I have so much to do at work and then even more to do at home and I decided to bring the spoiled one with me. 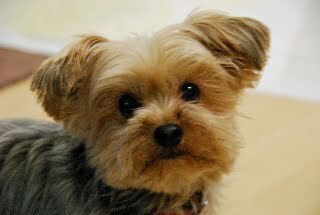 For those who don't, the spoiled one is my Yorkie, Rocky. Rocky is a she, which I know confuses everyone, but it was done purposfully. When I first got her she weighed 2lbs & I had her in a spiked collar & Harly Davidson stuff. So I wanted a name that made her seem all tough & then you see her & just crack up. 8 years later & people calling her a "he" 100s of times, I should of just gone with a normal name. I digress. Anyway. I'm bringing her with me. She's so spoiled. I don't even want to tell you what I have to pay to bring her... but I will. You know those times where you know you're getting ripped off, but you still do it anyway. That's me every time I fly with her. (Yes, I do this often. Rocky's a world traveler. She's been on more than 10 flights. Spoiled brat!) Jetblue's rule is that I can fly with her as long as she is kept completely closed in her bag, she is my personal item & has to be kept under the seat in front of me. FIne. No biggie. BUT in addition to those rules, they charge me $100 dollars each way. So most flights Rocky's "ticket" to sit under the seat is more than my ticket to sit in a seat & get unlimited snacks & watch tv. Um. Add on top of that, you can fly with a baby, on your lap, screaming & carrying on, inconveniencing the whole plane FOR FREE!! It's insane & the worst part is I PAY IT... REPEATEDLY. It's insane & more importantly, I'm insane. What a brat. So now I have to get ready for Florida and make a stop at the vet at some point this week to get her papers saying she's healthy to fly. So needless to say things have been getting crazy for me. Also, I was not planning to be going away until the big trip, so I had been storing away all my stuff for the trip in my luggage & checking it off my packing list. So now I have to unpack, to repack, to get home & pack it all back up again. Wonderful. On a positive note, while I'm in Florida visiting family, I'll be missing a family reunion here in NY. Bummer. I am so disappointed. Really, I'm just so sad I'll be missing it. I mean who wouldn't want to be with a bunch of family asking three million different ways why I'm still single, repeatedly??? That's my idea of fun. In all seriousness, I love my family, but separately. Everyone together makes for quite a traumatic time, especially when everyone wants to be the head of the thing. No thanks. I'll get to see most of them in Fl before the fly home to NY for the thing, but I'll be staying behind with the family who can't fly home to NY due to sickness. Now after all that whining... I'll get back to why we're all here. So the trip is 49 days away. I finally found the perfect carry-on. I went on both Delta & Aer Lingus to find out what was the max dimensions of a carry-on I was allowed & then went on a 3 month search of the perfect bag. I knew I wanted a spinner & I knew I wanted the absolute largest bag I was allowed- I'm gonna need all the space I can get. So I found tons I loved but they all were 22" & I could only have 21", so I finally end up with, believe it or not, a spinner from walmart that I ended up getting for $49 verses all the amazingly nice ones for $160+. So I finally got it and was thrilled. Then I went on Delta & Aer lingus and notice that they changed the dimensions to 22"!!! Are you kidding me?! I feel like I'm going insane. I'm sticking with the bag I have but it just really bugged me. I couldn't believe it. And while I'm still whining, I think I'm in the wrong field. I should definitely go into the luggage business. They're killing it! The amount of money they charge for a suitcase is insane. And these new spinners, they add two more measly wheels & it costs an additional $100. They're all mad. 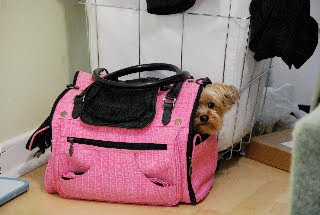 I bet the person who decides the extra charges for flying with a dog is the same guy who prices luggage. Seriously. It's a bag with wheels, not a car. Crazy. I also bought some movies that included the digital copy to put on my computer & ipod. They're a bunch of movies I loved but have only seen once in the theater. So I'm trying to hold out & not watch any of them, so I'll have back up in case the weather is bad on our 5 sea days straight. I also bought cables to hook my laptop up to the cabin tv, which Disney supposedly is against, but whatever. I'm not a rule breaker, but this is just absurd. Knowing Disney, I won't ever even have time to watch these movies 'cause they always have so much going on on the ships- rain or shine. In the last week I also read about Europe changing over to a system of chip-and-pin credit cards rather than the magnetic strip & sign cards that we have. Some places have been reported to not take our cards because they don't want to be bothered &/or don't know how to ring us up so that we have to sign for the purchase rather than putting in a pin. Whatever. If you don't want my money than fine. Jeez. This had been the first I had heard about this in all my researching, so I don't think it's going to be a big deal. People mainly had trouble at automated places like gas stations, metro stations, etc. and at places off the beaten path. We'll be in the touristy areas so I don't foresee it being a problem, but it's still a headache. First they have different power outlets, now this. "Why can't we all just get along?". Well, I guess that's enough whining for tonight. From now on my updates are going to be getting into the details. I'll be posting on each day of our trip & what plans we have for that day. So up next... Departure Day/Our First Day in Ireland! Rocky ready for her trip. Can this get any bigger? I think so. I'm back and with the BIG news, as promised. So as I had last told everyone, we still hadn't bought our airline tickets to come home after the cruise. The ticket prices are insane! We always fly Jetblue nonstop and the most we ever pay is $200 roundtrip, taxes included. Well, the first flight available for us to take home is $160 before taxes etc. So we've been waiting to buy the tickets hoping for the last minute sales that Jetblue normally does. Then we started thinking. We have a lot of family in Ocala, Fl, about 40 minutes NW of Orlando (depending on who's driving). Our Annual Passes are good until Dec 31st. We also realized that October 1st is the start of one of my favorite things on the planet, Disney's Food & Wine Festival. Sooooooooooo my mom and I are now going to stay in Fl until Oct 7 visiting family for three days and then spending two days at WDW... eating! My dad has to get back right away for work, so he will not be able to join us, but after 18 days of being away he doesn't mind. My mom & I are now up to a 23 day trip. Yeah. Just a smidgen extravagant, but hey it's once in a lifetime! So on Saturday we'll get off the ship, rent a car, drop my dad at the airport, then my mom & I will head up to Ocala, then to WDW, where we'll return the rental at the Swan Resort and then take Magical Express to the airport on Thursday. I cannot believe how big this is! I am so excited! I just LOOOOOVE Food & Wine Festival. My mom & I are pros. We were at Disney last year during Food and Wine. My dad had a conference so he met us there a little later in the trip, so it was just us two and boy do we have a system. 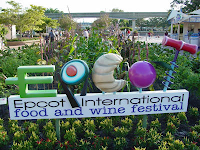 I'll share more on Disney's Food & Wine Festival in the coming weeks. Also, I am surprising my mom with where we are staying... kinda. I used my vacation club points for our first night, but for our second night we want to stay at one of Disney's moderate resorts. 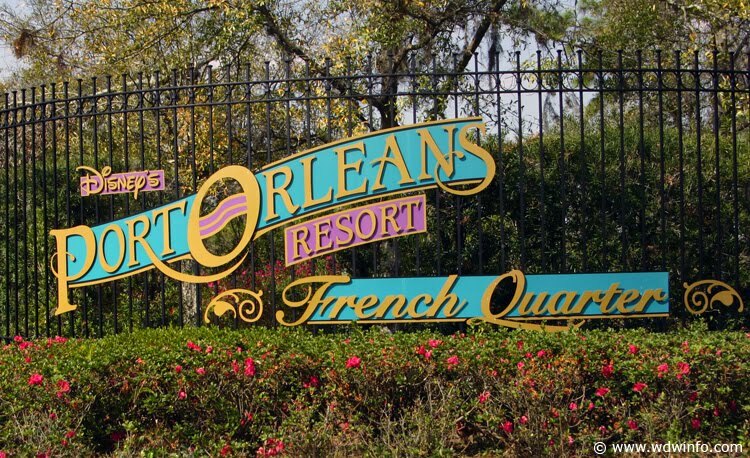 A while back my mom & I stayed at Port Orleans Riverside and we loved it and ever since we've wanted to try Port Orleans French Quarter. So we're going to stay at ????? 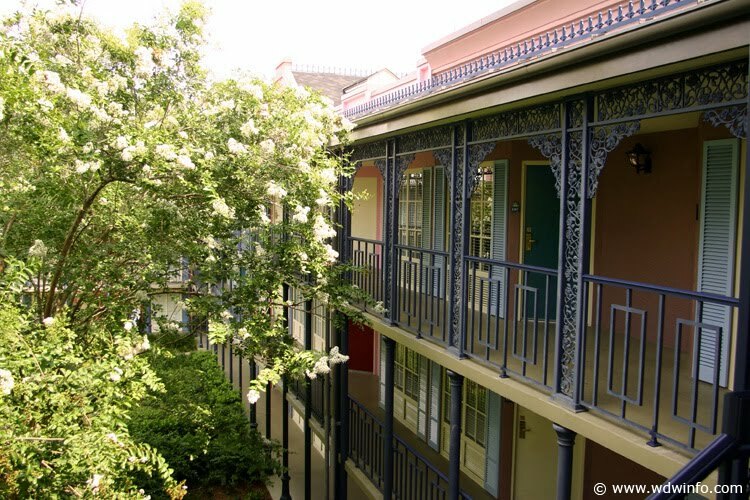 for one night and then move to Port Orleans French Quarter. We don't mind moving resorts. We've done it in the past. Disney is so great about moving your stuff for you and since we're really only there for Food & Wine, which starts at 11am, we'll really be in no hurry in the mornings. So that's it for now, but don't worry I'll be back soon for more on the trip... I've been shopping! Two months out... with some sad news. Hey guys. I know it's been a while. My family received some pretty sad news and honestly the thought of blogging about my extravagant vacation while my family was hurting was just not an option. I'll post about it at the end of this post for those who would like to know what's going on outside of my vacation world. Now back to vacation planning. 62 days. 62 DAYS! Time is flying by! Since I left you guys I received my PacSafe backpack that I had won on e-bay. I love it & it is in perfect condition as described. It's the perfect size and I am so thrilled I found it. A few weeks ago the euro had dropped pretty drastically. I took advantage of that and paid for a lot of our tours. I also ordered some euro. I never want to arrive in a new country and not have at least a little bit of their local currency already on me. Now let me tell you. I am an obsessive planner. Not to brag, but I am your dream travel companion. On all big vacations I do a "walk through" of the entire vacation on paper. I think of every area that we would need money and write out all the totals. Then I get tiny envelopes and place the cash each in it's own envelope and then write on the envelope whatever it's for. Then I place all the envelopes in a ziplock bag. Once we get to our hotel, I place the ziplock in the safe and the each day I just take out all the envelopes with that date and head out. No surprises, we've got all the cash we will need. I gotta tell you this is an awesome way to handle your cash. For example: Our taxi from the Dublin airport to our hotel should cost 25-30 euro. So in an envelope I place 40 euro to cover the cab and tip, and then write on the outside of the envelope, "9/14 Dub/Hotel Taxi 40 euro". I know some of you may think I'm insane and I tend to agree but I actually love it. I'm a planner. I love to plan everything. I went to school to plan events... it's what I do. So just work with me people. So anyway, I got our euro and went ahead and put them in their individual envelopes. I had ended up ordering the exact amount of cash we'll need for the entire trip minus souvenirs and places where we'll use our cc. As for getting more euro for little souvenirs, etc. The absolute best place to get euro is the atm machine, however be sure your pin is only 4 digits and it does not start with a "0" as most atms in europe will not accept them. Now for fees. As of now I use Bank of America but they charge $5 per atm transaction as well as 1%. My local BOA branch closed recently and it is quite annoying, so I'm thinking about switching back to HSBC who only charge a $1.50 fee per atm transaction, period. Plus, HSBC has a cc that does not charge any fees for using it in Europe versus my present cc that would charge me 3% on each transaction. Also, Capital One does not charge any fees for cc charges in foreign countries. Quite a lot I know. If you are planning to travel overseas and would like a great place to read more on this click here. Now that I've totally gone all Ben Stein on yah... I'll move on. I also bought a new electrical adapter for both Ireland's plugs and Spain's plugs. Um. Why the heck can't we all use the same plugs and voltage?! Really? I don't get it. Well I actually already had a set but on my trip to the middle east two years ago I didn't have enough. So I found these great ones that take two plugs at a time, which just makes my day. You can find them here and here. They're great and the best part is they're purple so you won't easily forget them in the walls 'cause they wont blend in. I still have to look at all my electronics. Now most electronics convert the voltage so we'll see if I'll need to still buy a voltage converter. Ugh. I'm serious. I feel like I'm doing a research paper. Luckily I will only have to deal with the power issue the first 5 days. Disney's ships have US plugs and voltage. God bless them! I also bought two new purses that are adorable. They are wristlets. Which by the way, I feel like a moran using that word. That's got to be the dumbest word on the planet! Anyway my "wristlet" part is like a bracelet... a "bangle" actually but again another word I hate. When I hear bangle I don't think "pretty bracelet", I think "weird mixed breed dog". I digress. I still have to buy my pirate outfit. For those who don't know, Disney Cruise always does one night on the ship themed as Pirate night. They have a special meal, they hand out pirate bandannas, then there is a big deck party out by the pool. They have those giant turkey legs, dessert buffet, etc. All free and all in addition to the 4 course meal YOU JUST ATE! It's the best! Then they end the party with fireworks, yeah fireworks. ..at sea! Then, as if that wasn't enough they play the Pirates of the Caribbean movie on the "DumboTron" or "ArielVision". Yes, those are the names of the GIANT tv screens over the pool on their two ships. They are more than 30 feet! Now that's the way to watch Johnny Depp... sitting in the hot tub starring at a his 30 foot self. Oh, Lord! ANYWAY. We usually never dress up for pirate night as we are dull, however this year I am stepping up my game. I'm gonna wear, brace yourselves... a pirate t-shirt. I know, very adventurous. 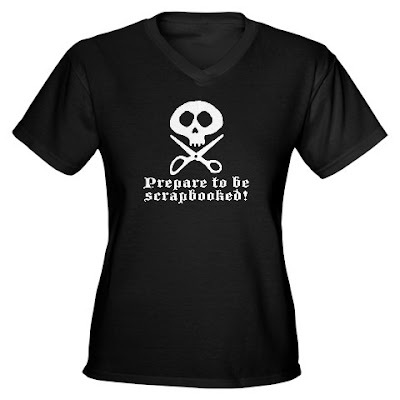 A pirate t-shirt and then probably jeans or I may get real adventurous and wear slacks- if of course I am feeling like a more formal pirate. I'm stuck though. There are two I can't decide on so I don't know what I'm gonna do. I'll post the pics below. You COULD let me know your pic in the comments section, BUT I don't want to make anyone uncomfortable so don't worry about it. Okay. I think that's enough for now. This has been quite a long one and there's just so much more. I promise the posts are gonna be coming quick now, so check back often. Also, I have big news coming in the next post and it involves a pretty big, exciting addition to my trip. Let's say it together... Cliffhanger! Check back soon! Last week we got news that my 7 year old, second cousin, Timmy was diagnosed with Leukemia. We know we'll be able to declare Timmy cancer free one day, but it's going to be a long road for him. So please keep Timmy and my family, his parents especially, in your prayers. He's one of the toughest kids I know, so if anyone can get through it, I know it's him!